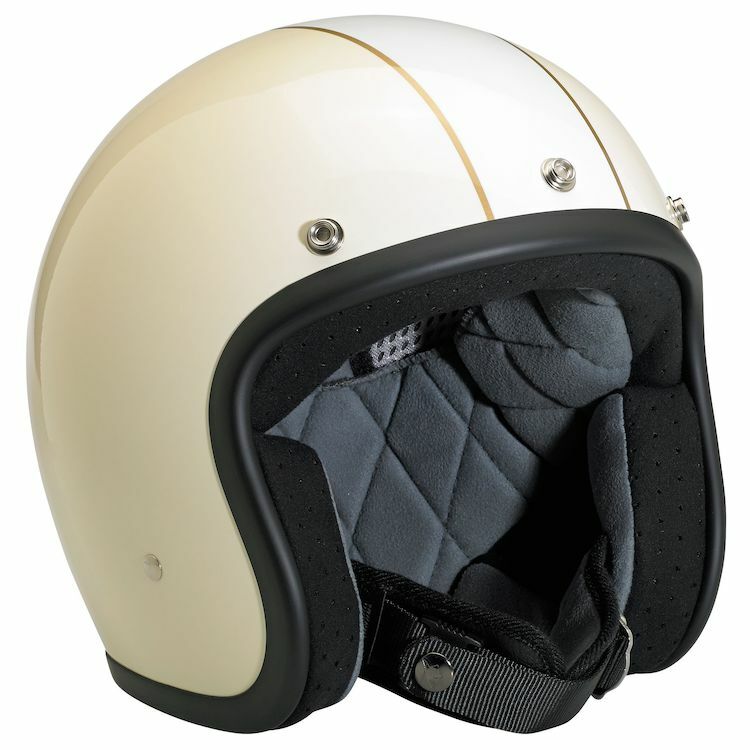 Same 21st century comfort and ‘70s certified styling as their popular open-face Bonanza helmet, now in an even tastier range of colors and flavors. 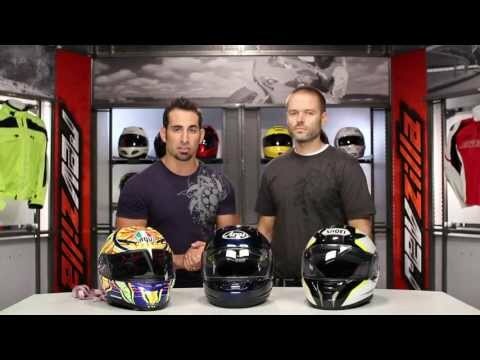 The LE stands for Limited Edition, because that’s what each of these 3/4 DOT-compliant helmets is- a retro-inspired skid lid with custom paint schemes and graphics in small quantities for fashion-backward bikers. The Bonanza's interior features a custom-shaped EPS safety shell and a hand-stitched removable liner with moisture wicking brushed Lycra panels and open-cell foam padding for breathability and comfort. Its injection-molded ABS outer shell features hand-laid graphics and paint beneath a rugged clear topcoat. It's comfortable neck strap features plated steel D-rings and a snap strap end retainer with Biltwell anvil branding. 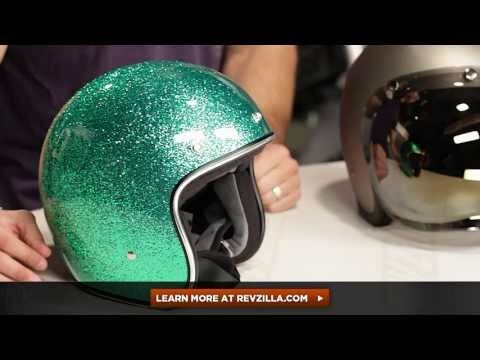 The Biltwell Bubble Shield is also available separately.